Rob, you were SO generous and made all the difference in the world when it comes to my surviving the aftermath of the attack. You took the reins and guided me safely in the right direction. You were sensitive to what not only had to be done, but what would help me to feel strong again. Once again, I thank you from the bottom of my heart. You can’t go wrong with this team!! Rob Fellows is one of the best attorney’s I’ve ever had! I hired Rob for a slip and fall personal injury case. He is a true professional who cares about his clients. He Keeps you in the loop on the process and returns phone calls promptly and speaks to you with respect and dignity (no arrogance here). His entire office is professional and well run, from his Secretary to paralegal to his litigator Attorney Dan Solinsky who I worked with. I am so happy the good Lord directed me to him. This is a small firm with a white shoe professional culture; prestigious & expert attorneys. I was very happy with my settlement due to Rob and Dan. You can’t go wrong with this team!! I want to take a brief moment to thank everyone for their hard work and dedication to our case. Your guidance, support and the love you have shown to our case and mission will always be remembered. Thank you for ensuring that our daughter’s memory and the outcome of today’s mediation to change the future of our family and more importantly the memories that we will be able to make together going forward. They’re really out there to fight for you! Mr Fellows is an amazing lawyer. He treats me with respect and always keeps me in the loop. He is very straight forward. He really fights for you and only you. He is the awesome! His whole team is the true meaning of a law firm, everyone works as a team. Another particular person I want to give a shout out to is Yaniris. She is Mr Fellows’ paralegal and an amazing woman. Her work ethics are superb. This office does not just lay around and wait. They’re really out there to fight for you! My experience with Steve Hymowitz and his fantastic Paralegal, Lynn was terrific – What an amazing team of people! I had a real case, with real issues, yet Steve believed in me, and worked long hours through many obstacles to help award me for all my pain and suffering! Prior to Steve, other attorneys had refused my case because they wanted a quick “cut and dry case”. Steve and his team worked hard to fight on my behalf, even with the many challenges of being out of state, being close to the statute of limitations and my multiple health challenges. My pain and suffering case was awarded more than I imagined, and I will forever be grateful to this kind, caring, professional and determined Gentleman! I absolutely recommend the law firm of Fellows Hymowitz, as I believe you will not find better! I am so grateful to Steven Hymowitz and staff for handling my personal injury case and bringing it to a favorable close. At our first consultation, I knew Steve was the attorney I had to hire to represent me. Why, because I knew Steve would work hard and fight hard to get me the best possible outcome on my case. His drive, determination, experience, and knowledge were the qualities I was looking for in an attorney to get the job done right. I highly recommend Steven Hymowitz for all your legal needs. Again, I am forever grateful to you and your wonderful staff for a job well done and praise well deserved! I just want to thank you again for all the work you did, and for everything you have done for me, and my case. Everything you have done for me means so much, and I’m so happy to put this accident behind me, and continue to move forward with a positive attitude. You were such an incredible help to me, and I’ll never forget the work you did. I can’t thank you enough, and I’m beyond happy I found you. An A+ in my book! Steven Hymowitz is top-notch! He knows the law, he fights for his client and he obtained a result that far exceeded my expectation. I would highly recommend him as an attorney. I am and forever will be so very grateful for what he did for my daughter. God Bless you, Steven Hymowitz! All of your hard work paid off and I couldn’t be happier with the results. You’re an A+ in my book! Mr. Hymowitz is to be highly recommended for his dedication and perseverance. Mr. Fellows impressed us by the knowledgable and professional way in which he handled our LONG case and how he represented us in the court, and how he turned any weak point in our favor. Mr. Fellows and his staff specially ( Carol ) diligently and patiently worked with us, took us by hand and led us through it all, they were just a phone call away when we needed them despite being in two different states. He fought extremely hard for us and we were very pleased by the outcomes. We will not hesitate to let anyone know how experienced and professional he is, if they ever needed a legal assistance. We can’t thank him enough for his massive efforts. It was really our pleasure to be represented by him. I was involved in an accident and sustained a bad injury. I was referred to Fellows Hymowitz by a friend and was satisfied with their level of professionalism and their attention to detail. They treated me as a person, not as a dollar sign and I admired that very much. Fellows Hymowitz helped me regain my peace of mind and I was very pleased with the outcome. I had the pleasure of working with Mr. Hymowitz due to a severe leg injury I sustained and needed legal representation. Mr. Hymowitz and his staff were extremely helpful and took care of everything and made sure that we prepared for the best possible outcome. Due to his expertise and never ending drive, we were able to win the case! I would have never been in the position that I am in today without Mr. Hymowitz and his staff. I am forever grateful and would recommend him to anyone needing legal assistance. While getting a routine medical procedure, things took a turn for the worst and I suffered extreme losses. Several friends suggested I hire a lawyer to pursue my case. I turned to several lawyers for advice. Nobody gave my case a shot except for Steven Hymowitz. While discussing my case with Steven, I immediately recognized his vast knowledge of the medical field. He is smart, understanding, and most importantly, optimistic. He brought a much-needed wave of hope to my family, and I could not be more thankful. Throughout the entire progression of my case, Steven always patiently kept me informed and consistently provided thoughtful guidance. The staff at Fellows Hymowitz was also extremely professional and friendly. Despite the opinions of the lawyers I met with before going to Fellows Hymowitz, Steven was able to negotiate a settlement that greatly exceeded my expectations. With Steven’s help, I was able to recover my losses and am continuing on a track to better health. Thank you Steven and everyone at Fellows Hymowitz! Mr. Hymowitz got me more money than I ever expected, in a case other lawyers wouldn’t take because it was so unlikely to succeed. So clearly he does fabulous work, but equally important – Mr. Hymowitz is approachable, personable, honest, patient, friendly, and clear. I am exceptionally pleased and very grateful. Mr. Hymowitz took my case when every other lawyer thought it too unlikely to even attempt. He got me more money than we expected, all with minimal effort on my part. Both Mr. Hymowitz and his staff were easy to reach and always clearly explained the status of the case. Excellent experience with and honest, friendly, and obviously successful attorney. Highly recommend. I want to thank my friend and lawyer Robert L. Fellows for keeping me calm and winning my case. Steven R. Hymowitz is just amazing, this is the word I use to describe the type of service I was provided. At first it seemed frustrating to me because I didn’t have the time to put in and fight to get a compensation, but they did everything for me and I got a nice size compensation. I definitely recommend this place to anyone that wants dedicated people. By the way, they do not keep you waiting for a long time in their office; they are very reasonable with your time. Fast and simple. Mr. Fellows & his staff were nothing but everything I needed when I consulted him on a recent legal matter. Due diligence & follow up were on time, and very helpful. They have my eternal gratitude. Let me start off by saying Mr. Fellows truly lives up to his stellar reputation. I did thorough research before hiring him to represent me. That was the best decision ever! Only only did he achieved a better result than I expected, Mr Fellows also made the process a breeze. Excellent attorney all around, highly recommended! Recently we had need of legal counsel. We chose to work with Robert Fellows of Fellows Hymowitz. Mr. Fellows was able to make a very difficult situation tolerable. He was understanding, caring, competent and very professional with us as was his staff. We would with great confidence highly recommend Mr. Fellows to anyone who is in need of legal counsel. Seeking a lawyer for an injury case is never fun, but Robert Fellows made things so much easier. He is HIGHLY professional, knowledgeable and very compassionate – he looks out for ME (not himself) and practices from his heart. He was very meticulous in guiding me throughout the entire dispute process and achieved results that expected my expectations. Thank you Mr. Fellows – You are a true gem! Seeking a lawyer for an injury case is never fun, but Robert Fellows made things so much easier. He is HIGHLY professional, knowledgeable and very compassionate – he looks out for ME (not himself) and practises from his heart. He was very merticulous in guiding me throughout the entire dispute process and achieved results that expected my expectations. Thank you Mr. Fellows – You are a true gem! Rob Fellows and his legal team, in particular Carol, are highly-skilled, compassionate and tenacious. They took on my elderly mother’s personal injury case and fought hard on her behalf. Her case was a small one relatively speaking, and not a strong one. Rob is incredibly professional, articulate and trustworthy. I greatly appreciate his honesty, patience, kindness and communication with us every step of the way. He and his team took the time to get to know us and this was very reassuring to my mother. This is a legal team who goes the extra mile as a matter of course. We were very pleased with the settlement my mom received. It was truly a pleasure to have Rob Fellows represent my mother and I would highly recommend them. While I am certain there are some lawyers who should be grave diggers, Robert Fellows is not one of them. He is a warm, caring man who makes it very clear that he is on your side. My case was quite far from the biggest the Mr. Fellows has handled yet he treated me as if my case was going to make us both independently wealthy. Lucky you, if he takes your case! After a horrific automobile accident, my husband and I knew we needed a personal injury lawyer. Rob Fellows was recommended to us by a colleague of mine. It was the best decision we could have made! Rob was not only compassionate about our situation, but worked diligently and effectively to gain us a satisfactory settlement. He was extremely thorough and articulate in his presentations of our case, both in written and oral form. His staff, especially Carol, was always available to answer our concerns and help us through the process. We would highly recommend Rob Fellows for any personal injury case. After an automobile accident injury I was recommended to Mr. Fellows and with his personal advice, wisdom and professional staff was able to win me a satisfactory settlement. Thank you Robert and all your staff for being #1, and a Special thanks to Carol who was always there through the process. Without your support, patience and perseverance, my case never would have had such a rewarding ending. My best to you! Steve and his staff are very competent, conscientious, and caring. They did an excellent job in representing me. I highly recommend Rob Fellows. He and his staff are very professional and do an excellent service. Even after the case is settled, he continues to go the extra mile. I am very appreciative of that. Thank you! We have had very positive experiences with Rob Fellows and highly recommend him! My husband was injured while working on a construction site and Steven Hymowitz and his staff at Fellows Hymowitz were caring as well as compassionate. Whenever we had any questions, they were always available! Steven was patient with us through the course of the 6 year lawsuit. He took the time to meet with us several times and communicated with us every step of the way. We are so grateful to have him as our lawyer. With the help of Fellows Hymowitz, we were able to win the lawsuit. Mr. Hymowitz represented my 15 year old daughter for a birth related injury. We are New York residents and as such it was necessary for the matter to be brought in New Jersey courts. Mr. Hymowitz showed a high degree of compassion and understanding towards my daughter in discussing the case with her and preparing her for court. In court, Mr. Hymowitz was very professional and knowledgeable of both New Jersey law and court proceedings. We would strongly recommend Mr. Hymowitz if you require an attorney for a personal injury lawsuit. Fellows Hymowitz is the Best! Another week is beginning but this one is different for me. I feel lighter and happier, I feel like I’m free. Like a weight has been lifted and I have the green light to put the past behind me and move on with my life. I am so relieved that this is all behind me, and I can now go on. I finally have the closure that I needed, and this chapter is done. I’m grateful that this was resolved in a settlement with no trial. I don’t know how I would have handled the pressure all the while. It was such a pleasure to work with Fellows Hymowitz Law Firm. And I’m so thankful that you allowed my voice to be heard. Thanks for taking on my case, and fighting this for me. Knowing from the beginning, there is no guarantee, your guidance and perspective made it easy to see. That my situation was something independent of me. Your words of encouragement, support and care helped me power through when I was overcome by anxiety and fear. So I Just wanted to extend a HUGE THANK YOU to you and your team. For all that you have done for me, I felt comfortable in this uncomfortable situation, due to your professionalism and dedication. Please share my sentiments with the rest of the team, and continue helping others that have been wronged like me. Thanks again for all your time, your effort and interest and you can be sure that my recommendations for Fellows Hymowitz PC will be the best! I just wanted to express my gratitude to Steven Hymowitz for your efforts and loyalty throughout my journey. Thank you and the staff for always reaching out when something was needed. No words can explain how grateful I am for the dedication you put towards my case; you never gave up. I appreciate all the time you invested, and all the arguing you did for me so I can walk away with something. I know we were working against the odds in Bergen County but thank you so much from the bottom of my heart for putting up an amazing fight for me. It wasn’t easy…… but we got something out of it and I couldn’t have done it without you. Fellows Hymowitz assisted me and my daughter for a felony charge of department store theft. My daughter was obviously guilty, but as the law states, everyone is entitled to their day in court, and we were lucky to have Fellows Hymowitz by our side. They were able to plea to a much lesser charge for my daughter and kept this as one expensive life lesson, rather than a lifelong punishment. From first contact to court date, Fellows Hymowitz was in constant contact with us and with the DA and courts. Time was of the essence because my daughter needed to go back to college and they made sure this was behind us before starting school. I highly recommend Fellows Hymowitz. Steven Hymowitz took the time throughout my case to explain everything and handle any questions that I may have. His staff was extremely friendly and helpful when dealing with medical billing issues that I was unsure of. He handled my case in a professional and timely fashion and was always kind and listen to anything I might be going through or dealing with. He was a great help in recommending doctors when I was unsure of who to see when dealing with a medical issue. I highly recommend Steven Hymowitz for anyone dealing with a pain and suffering accident case. Mr. Fellows and his professional staff are absolutely the best there is and I am so happy I found them. With the knowledge and personal attention they gave me, I was able to get a satisfactory settlement after an automobile accident injury, they were Fast and Furious professionals. Thank you Robert for your wisdom, guidance and staff. Rob was not only compassionate about our situation but worked diligently and effectively to gain us a satisfactory settlement. He was extremely thorough and articulate in his presentations of our case, both in written and oral form. His staff, especially Carol, was always available to answer our concerns and help us through the process. Thank you so much for everything you did for us! I am so happy that I switched and went with Steve Hymowitz. He has compassion and understanding not only of the law, but of his client’s concern’s and needs. After my car accident, I needed a lawyer. Fellows Hymowitz really cared about my case and made me feel so comfortable. They kept me updated on a regular basis and got me great results too! Mr. Hymowitz is an excellent lawyer. I was involved in a car accident and throughout my case, Steve explained the entire process and kept me informed of every settlement offer he received. He also took an interest in my health and well being. His knowledge and expertise is exceptional and he was able to obtain a very significant settlement for me. I found Fellows Hymowitz to be compassionate and caring. During my case they were always courteous, knowledgeable and professional, and welcomed any questions or concerns that I brought up, and went above and beyond to seek the necessary information to put my concerns to rest. Their persistent research and guidance throughout my case helped me get through a difficult time in my life. I would highly recommend Fellows Hymowitz. Got in an accident and I got hurt, and in a matter of months, I got compensated for my injury and my case was settled…I thought it would have taken years, but Fellows Hymowitz is great and treats you like family…. Truly professional in every sense of the word and I recommend anyone to them because I’m a finicky person and they made pleasing me as a client easy…. thank you! Robert Fellows restored my faith in lawyers. He is empathetic, hardworking & honest. He will be there with you from start to finish, fighting for his clients. This is a good law firm you are safe with them. Would recommend them to anyone needing proper representation. One of the most honest, hard working law firms that I have ever had the opportunity and pleasure to deal with!! Both Mr. Hymowitz and Mr. Fellows will work and fight hard for your case!! Love them!! Fellows Hymowitz demonstrated a firm knowledge of the law, which helped me significantly understand my rights without having to fully understand “the law”. They were personable and promptly returned any and all communications in the most timely manner. I highly recommend them. I was in an accident and Fellows Hymowitz did a wonderful job of taking me through the steps and keeping me in the loop. I was impressed with how knowledgeable they were. They answered all my questions and fought hard for me!! I heard great things about Fellows Hymowitz and they definitely proved that while working on my case! They helped every step of the way, never allowing any question to go unanswered and never putting less than 100% into my case. They were great with staying in contact with me, and always keeping me well informed with what was happening with my case. Fellows Hymowitz helped me the whole way, answered any possible question and fought for my innocence till it was proven. Couldn’t have been a better experience. I reccommend them to anyone who has been in any sort of legal trouble. We have just successfully concluded a personal injury action on behalf of my mother who suffered grievous injuries after falling in a depression at a local diner that she used to frequent. Her life was irrevocably changed by these injuries, and she never recovered. Before the diner’s owner could hide his negligence by filling the depression, Rob sent an investigator who documented the condition. The insurance company for the diner mounted a ferocious defense, trying to shift the liability to my sister who accompanied my mother and by engaging the services of physicians who tried to downplay the extent of her injuries or who wrote that they were unrelated to the accident- all of which was untrue. Rob handled the case with compassion and skill. He kept us informed of the progress, accurately predicted the time frame and likely award, and secured the services of honest and highly regarded experts that debunked the defendants’ attempts to avoid liability. Finally, he was able to have the case mediated and procured a favorable and fair outcome. I would recommend Rob Fellows unconditionally for anyone who needs the services of a personal injury attorney. Now that our case has been successfully concluded, I want to state how grateful I am for Rob’s outstanding handling of the case from start to finish. The result exceeded my expectations and is a testament to Rob’s knowledge, skill, negotiating power, and ability to secure the services of top-notch experts to bolster the case. Anyone who might read this and is considering using this firm for a personal injury case should know that they will be in the most capable hands. I endorse them wholeheartedly. 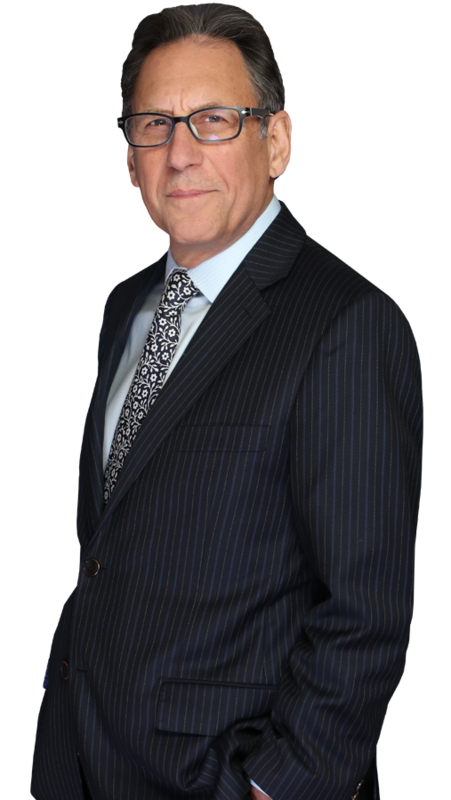 Steve Hymowitz is a superb and determined lawyer with a kind and compassionate personality! Mr. Steve Hymowitz rescued me from a dire situation where I couldn’t find a lawyer to sue a physical therapist who tortured my daughter by breaking her femur bone and who callously refused to call an ambulance. After searching high and low, and being rejected by two other lawyers, I found Mr. Hymowitz caring and empathetic style refreshing! He took my case and won my daughter at least a quarter of a million dollars for pain and suffering after his fees were paid! He is determined and hard working, and you will never regret being his client. He has no prejudices and is very professional. I highly recommend him to anyone who thinks they have even an inkling of a chance to win a lawsuit, and always contact him for a free consultation! Never give up fighting and Mr. Hymowitz will keep working for you! I give Mr. Hymowitz 5 stars !!! What we want most from a lawyer is honesty and compassion. Robert Lewis Fellows showed me he’s compassionate and honest. He went above and beyond to answer my question regarding my mom who has passed. I would highly recommend Mr. Fellows and will definitely call him if I ever need a lawyer. Nice to know there is a lawyer with compassion and understanding. I got cited for three different traffic violations and was worried about my license getting suspended. My job was at risk and I didn’t know how I could manage to pay my bills if I couldn’t commute to work and my other obligations. Thankfully, Fellows Hymowitz did an amazing job at the court appearance and I was able to keep my license. I would highly recommend Fellows Hymowitz. I want to thank the entire team at Fellows Hymowitz for their professionalism and relentlessness in securing a fair settlement. My wife was misdiagnosed by an NYC doctor, which led to severe medical complications that left her unable to work. Throughout the case my wife and I were treated with care and compassion and justice was served. Thank you! I Would Recommend Fellows To Friends And Family. Last year I was wrongfully terminated from a job I spent half my life working at. Unsure of where to turn, a friend referred me to the attorneys at Fellows & Hymowitz. My case was handled with complete professionalism and I was able to finally get justice for so many years of hard work. I would recommend Fellows to friends and family. After my family won our wrongful death case after the death of my brother, the entire Fellows & Hymowitz team became like a second family to us. They were there every step of the way, and made sure we were cared for during this very difficult time. Without the attorneys at Fellows Hymowitz, I don’t know how we would have gotten through such a difficult time. They are outstanding attorneys and I feel like they really went above and beyond for us. I want to thank you from the bottom of my heart for bringing justice to my brother and our family. I would like to thank Steven Hymowitz, Joanne Horowitz and the entire law firm and office team. From day one Steven, you believed in my case and through the last 5 long years with all the ups and downs you guys never gave up…with persistence and determination we made it…with a positive outcome. I would definitely recommend Fellows/Hymowitz. They made themselves always available, was very friendly and considerate but also professional, knowledgeable, dedicated, conscientious, diligent, reliable and I could go on and on but in a nutshell “THEY ARE THE BEST’. Steven even found time to spend with and to get to know my son and Joanne and I found many nights that started out with conversations about the case and end up talking about our families and things we had in common. This law firm is not just a business they make you feel like part of the family. I will always be grateful for all this law firm did for my son and I in the memory of my husband. This is being written to convey my appreciation for the personal interest shown to me by my attorney , Joanne Horowitz, Esq. , in support of a personal injury episode. Although I was doubtful that there were grounds for any kind of legal action, the support and interest I received were appreciated and a compromise and softer approach was suggested and ultimately proved successful. Joanne not only was bright and professional but also communicates clearly, avoiding self-serving ambiguity. And she is delightfully witty. She is someone who will listen carefully and with sensitivity. And she will guide you with respect and honesty. What more could one expect. Prompt and concise legal advice. They paid attention to all details regarding the accident and my medical bills. They have a great reputation in the community and it is well deserved. I could not be more satisfied with the hard work of my lawyer at Fellows Hymowitz. From day one I was always kept in the loop on what was happening with my case, and any questions I had were answered right away. They broke down everything that was happening in a way that I could understand. My lawyer took so much time to help me. They were constantly calling me and letting me know what was happening with my case. You all did an excellent job in handling my case, and you were always looking out for my best interest. I always felt like I had someone with me to help and guide me through this process. I was always given updates to my personal injury case, and everything was explained in a way I understood. I am very grateful for the entire team at Fellows Hymowitz, they were there for me when I needed them the most. The attorneys and paralegals at Fellows Hymowitz were on top of everything. It gave me great confidence. They always made me feel like things were going to work out. Who Could Do Better? No One! I can’t think of how any other law firm could possibly do anything better or improve anything Fellows Hymowitz did for me. They were awesome. I will refer them to anyone that needs an attorney. The world could use more fair, honest and reputable attorneys like the ones at Fellows Hymowitz. They provided excellent customer service with my case. I was treated fairly and they did a great job. Rob and his staff were extremely responsive, attentive, helpful, and explained everything every step along the way. Whenever I called or needed info I got it within 24 hours. They were also supportive from a compassion perspective and were with me every step of the way. I endorse this lawyer. He is a very experienced personal injury attorney with exceptional skill and knowledge. He dedicates himself to every case and will do his very best to secure a favorable outcome for his clients. He is trustworthy, hardworking and extremely reliable. He and his staff are always available to answer any questions or concerns you may have. I have and will continue to refer family and friends to Mr. Fellows and his colleagues. My daughter is a 22 year old high school teacher. She was injured, by a podiatrist, during a surgical procedure when she was 16 years old. Mr. Fellows agreed to take her case and in doing so he along with an outstanding team of his colleagues and medical experts proceeded to trial and won the case on her behalf. Mr. Fellows, not only won the case he exceeded any expectations we had. His level of expertise and professionalism made us feel confident and comfortable from the commencement to the conclusion of her case. We had complete access to Mr. Fellows and his colleagues they were always available to answer any questions and concerns we encountered. Mr. Fellows is not only a great lawyer he is a great friend. He showed the upmost care and concern in handling this legal matter for me and my family. Mr. Fellows is the best of the best. He managed my case very professionally, was extremely considerate, and always kept me informed. He was able to take a case with many pitfalls and turn it into a winner. He is always the optimist, and I never doubted for one moment that I made the right choice to represent me. I personally would like to give my heartfelt thanks to Mr. Fellows and his amazing team for all they have done for me, and my family. I felt so blessed to have Mr. Fellow’s represent me. He is a highly creative thinker and brilliant litigator, and cares deeply for his clients. My injury case was complicated; the outcome far exceeded my expectations, which clearly illustrates Mr. Fellow’s level of expertise and knowledge. I would strongly recommend the law firm of Mr. Fellows to anyone seeking only the best attorneys to represent them!!! A Lawyers’ job is to fight for his client. I didn’t want him to fight, but just be my voice. Rob and the office staff made me feel so comfortable during the most uncomfortable times, and made me laugh at others. He is VERY Knowledgeable and when he says something, he means it. He wants you to feel relaxed and lay all your stress on him, and believe me, he will handle it. This lawyer doesn’t work a typical 9-5, he will call you and check in at any hour, he never let me feel like i was forgotten. I thank Rob from the bottom of my heart for all the work he did to get me justice. Mr. Fellows handled a physical injury lawsuit on my behalf. He was always immediately responsive to my emails, phone calls and concerns. He continually demonstrated professionalism, integrity, and a diligent work ethic in researching and presenting my case. Mr. Fellows calm demeanor, sensitivity and genuine concern, in regard to my obtaining a satisfactory resolution to my lawsuit, was ever present and most reassuring. He is absolutely wonderful I found him to be a dedicated, relentless advocate on my behalf. A Lawyer and a Mensch! Mr. Robert Fellows is a conscientious, diligent and reliable attorney. He was instrumental and successful in resurrecting my case, which was neglected by a previous lawyer, and in getting a successful resolution and settlement of my case. Above all, he is a mensch. Very Impressed. Did a great job for me. Knowledgeable and Professional. I came to Mr. Fellows after a bicycling accident, after a motorist ran me off of the road. I have never been involved in a lawsuit. As a result of the accident, I spent almost three days in the ICU. I didn’t understand how to protect my rights. I spoke to Mr. Fellows (as well as other lawyers) about my situation. I ultimately selected Mr. Fellows because he struck me as the kind of attorney and advocate that was knowledgeable, trustworthy and prepared to fight to insure that my interests were protected. Mr. Fellows was incredibly professional. He demonstrated a deep knowledge of the injuries that I had sustained as well as the potential long term effects resulting from these injuries. Mr. Fellows handled my case and got a quick settlement for an amount in excess of my expectations. Without any reservation, I would recommend Mr. Fellows to others as an attorney/advocate for any personal injury case. Rob and his office staff moved my case along efficiently and smoothly, kept me informed, quickly responded to phone calls from me and answered any questions I had, and achieved an excellent result! It was a pleasure to work with Mr. Fellows and all his staff. Very attentive, understanding sympathetic and got me the desired results!! anyone I know who has worked with Mr. Fellows and his team has been very pleased! !